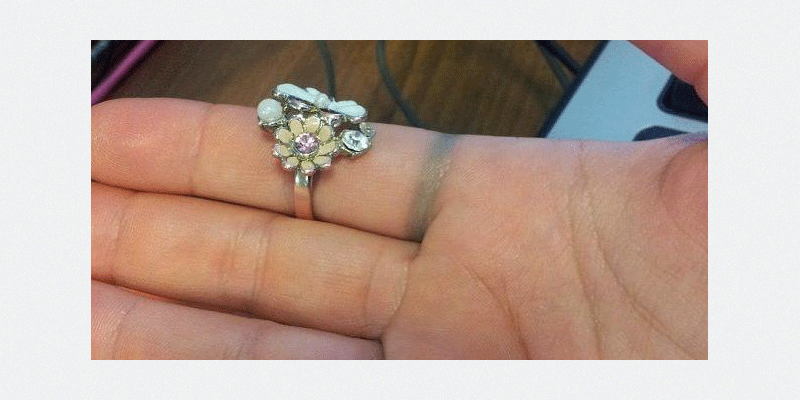 Gem Gossip - This blog was created by Danielle Miele, an avid jewelry collector. She mainly blogs about the different types of jewelry she finds on her travels, but keeps her followers in the loop with what’s hot right now. The Jewelry Loupe - Created by jewelry blogger Cathleen McCarthy, who is highly knowledgeable in jewelry and fine art. She has been a contributing editor for several high-profile magazines, so you know she’s well-informed. Gem Obsessed - This blog was created by Cheryl Kremkow, who discusses the most innovative jewelry on the market. She often writes blog articles on topics like celebrity jewelry, jewelry design, and jewelry trends. But here’s a pro tip for you: Plug in the keyword “jewelry trends” into Google Alerts for up to date trends. When you do this, Google will help you out by emailing you when a new article pops up including your keyword - nice! 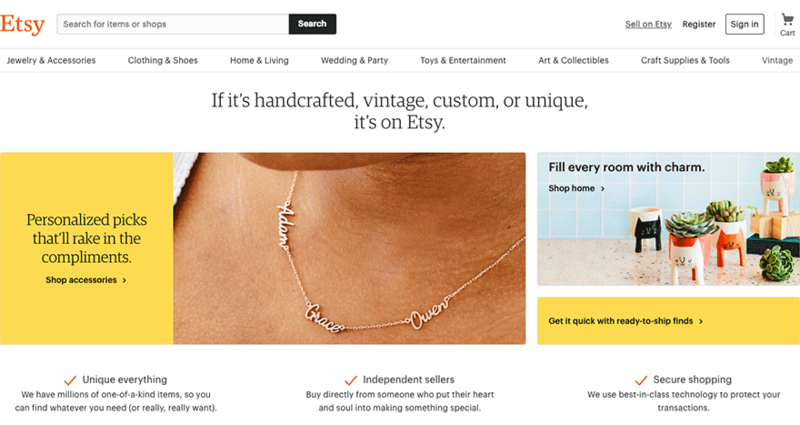 Etsy is the darling of the arts and crafts retail world. 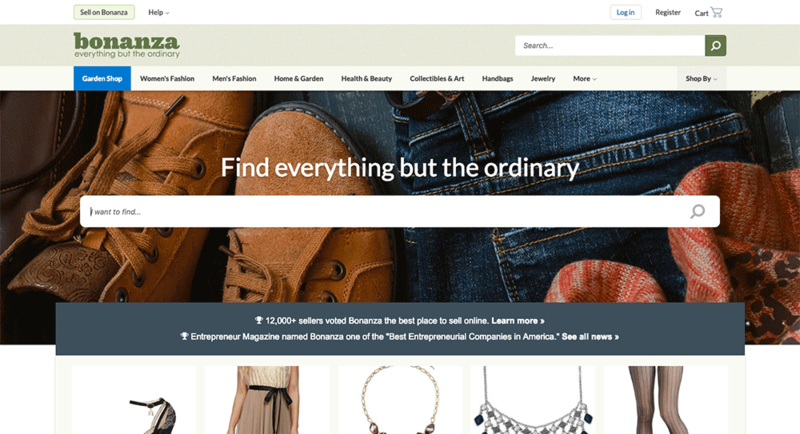 It’s the most established and popular eCommerce platform for handcrafted goods. That’s largely because it was the first major breakaway from the likes of eBay and Amazon. It claims to have close to 54 million registered users, 20 million active buyers, and 1.4 million sellers. This was back in 2014, though, so those numbers are likely to have increased. 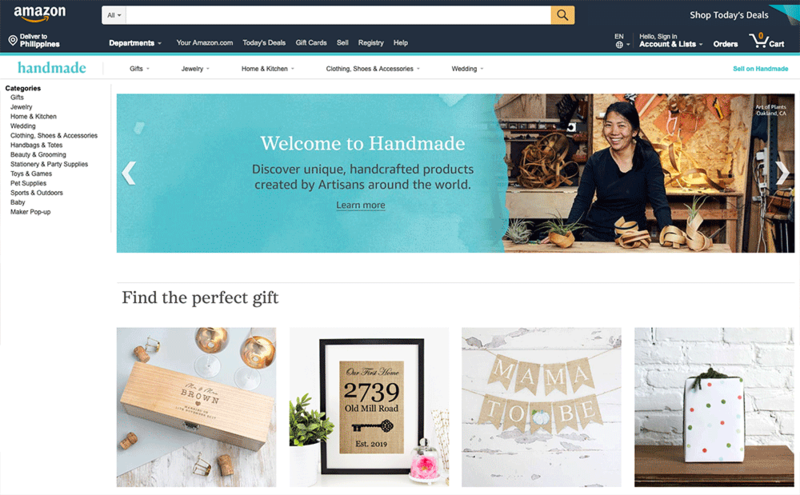 While Etsy looks and feels like a niche platform - the online version of your weekend craft market - it’s really a massive retail force. 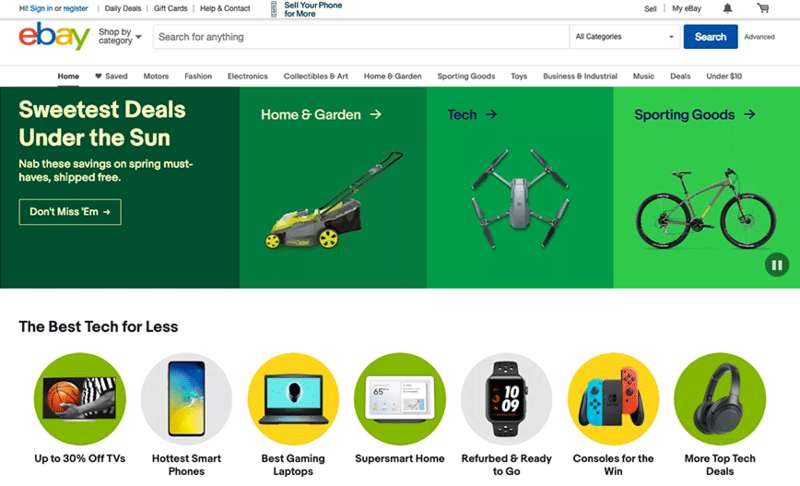 eBay is the second largest online retail website in the United States, behind Amazon. It’s auction option makes it a good platform for selling jewelry, especially secondhand items or antiques that might hold more value than you realise. eBay has become a highly competitive market and tends to favor sellers that can compete on price - sometimes leading to a race to the bottom. Online marketplaces: A lot of manufacturers are based in China. An easy way of finding these suppliers is by looking on websites like Aliexpress and Alibaba. A lot of suppliers list their items for sale on those sites. You can look for jewelry similar to what you hope to sell and then contact those suppliers directly. Just make sure to do you due diligence - check their details, order samples, and maybe even visit the supplier in person. Think about it - would you rather buy items at a higher cost to please your customers (and keep your store up and running), or buy dirt cheap knock-off items and get tons of negative reviews? Hi other than online and home parties..where else can you sell fashion jewelry at? My daughters and I started a online small jewelry business and we are looking for other places to generate business. what do you recommend? We have looked at farmers markets but we find jewelry vendors tend to make their own jewelry and all of ours is mixed. some items are handmade and others we have bought to resell. You can typically find that communities will do arts and crafts fairs, especially around the holidays. Where I live, the city's Parks and Recreation department handles them. Just be warned that they might have restrictions on reselling jewelry (they'll prefer that you sell your handmade stuff.) Malls and other shopping centers that put on special events will occasionally invite vendors to set up shop for the event as a way to attract more interest. They're also usually less picky about the handmade vs. reselling debate. Flea markets and consignmnent shops are other options to look into. With the consignment, just make sure you have a good contract and you're getting paid regularly. Can anyone tell me the best online site where I can sell my jewelry online or in stores. It's difficult to say without knowing anything about your products. For example, handmade jewelry is a popular product on Etsy. But you'll also find people selling jewelry on Amazon and eBay. Some of it is low-quality, but others may be expensive pieces. It really depends on what type of products you offer and what your market is, so it's important to do some solid niche research. I've been selling jewelry I buy online for about a year & recently realized I'd really like to do this asmy full time job, so I started doing a lot of research & reading. I found this very Iinfinformative. Thank you very much SALEHOO! 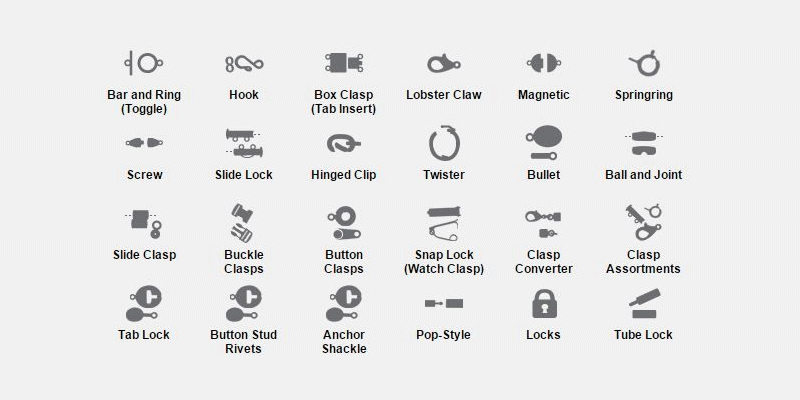 what to need to open online jewelry store? I know company for drop shipping jewelry but don't know how to start? I have a onlin jewelry boutique that I started last year and it's not successful at all. Would you be able to take a look at it and give me some pointers? Thank so much! Thank you so mush. I will definitely look into that. Also is it very important to have modeled pics as well as product pics to make sales? 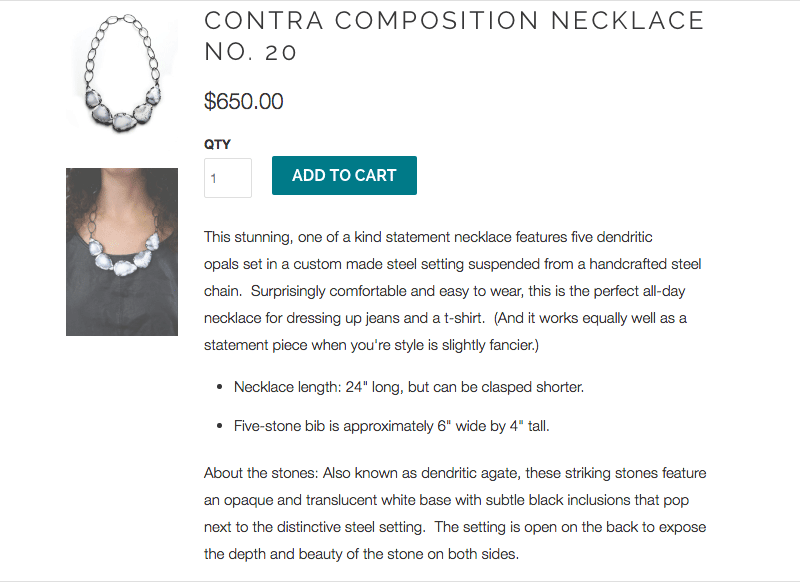 I don't believe so—it seems to me like the major online jewelry stores generally only have pictures of the jewelry itself, without any models. I don't think models are important with jewelry the way they are with clothing. Fake jewelry is also available on many online jewelry portals. if you want to purchase jewelry through online portals so you should purchased only from authorized online jewelry portals. I make leather and beaded bracelets for people in recovery as well as spiritually minded folk and so far they are selling like hot cakes to friends and family but am wondering about Etsy and EBay. Hi Bonbon! If you are making the jewelry yourself, you've already dodged some of the biggest problems with selling jewelry online—you don't have to worry about fakes, and you don't have to try hard to set yourself apart from the competition since everything is unique and handmade. I would definitely give Etsy and eBay a try. Your info is full of value! Feel free to apply if you see a job that looks like a good fit! Nice article! My niche is silver jewelry (women's collection only) I started 2 months back! Still Working out selling strategy, so the products is visible to millions of customers! I am really interested in making my own rings with unique, quality gemstones. Do you have any insight or wholesalers that would be helpful in my quest to launch a online jewelry shop that offers unique rings? I do not want to limit myself to rings however I don't want to sell a little bit of everything. I want to offer rings as well as either necklaces, pendants or earrings....haven't narrowe d it down yet . But I'm 100% sure I want my main product to be rings. Your article was quite informative and much appreciated! Hi Angie! Do you need wholesalers for raw materials, or are you looking for a supplier who can create jewelry to your specifications? Thank you for writing a great article. very informative. Thanks for sharing information regarding jewelry. Such a nice reason to buy jewelry. The idea of creating a warm and welcoming vibe in your store enables you to capture loyal customers. It's like giving them everything they need with additional care and proper respect. The right kind of attitude in the business really does help for the growth of the business. I was planning to buy some wholesale jewels here *** and would like to ask if you I should. Thanks in advance! Here are some simple things you can do to protect yourself when dealing with any supplier especially those found outside of SaleHoo. Run a whois check on the supplier's website to verify when it was created (it is safest to deal with suppliers who have been online for at least two years), who owns the domain, and where the domain was registered (the country should match the contact details on the supplier's website). We recommend using http://www.dnsstuff.com/tools/whois.ch?ip=salehoo.com&cache=off (replace salehoo.com with the url of the supplier). Search the SaleHoo forum for the supplier's website/company name and see what other members have to say. Call the supplier's telephone numbers to ensure they are genuine. Purchase a sample before bulk ordering to ensure that the item meets your expectations. Watch out for sellers asking you to "safeguard" your purchase by sending your money transfer in the name of a friend or loved one, or by establishing a "test question". These actions will not protect you from a fraudulent seller. Low prices do not necessarily mean fraud, but radically low prices should warrant a closer look. If a price seems to good to be true, it probably is. Ask the seller as many questions about the item's authenticity as you can before you go any further. Always use a credit card or PayPal to purchase goods. These forms of payment are safe because they give you a comeback if something goes wrong. With these payment methods, you can usually have the transaction reversed fairly easily if necessary. Read the article. We are doing most the of the stuff you mentioned. Expecting the business to grow. As someone rightly mentioned eBay does not work out if someone is trying to make money in the short run. We do not have have a lot of budget to burn and hence decided to stop selling on eBay. thanks for this! I have a question..... you mention to Not sell fakes but what if i don't know a particular jewellery item is a brand I had never heard of and a but from a wholesaler and sell? I have recently started selling bracelets on ebay just to test the market etc, and I ordered anchor bracelets... and was also using Instagram as a marketing tool ( all images were my own) when a company (paul hewitt) https://www.paul-hewitt.com/en/uk reported my page to Instagram and my account has since then been shut down. Instagram told me to contact the companies legal team who have ignored my many emails... as have Instagram. It took me months working on the page , and to get a solid number of followers and possible new suppliers... although the bracelets I sell are very similar, their quality is completely different which I have specified anyway. When i contact the companies legal team to ask for clarification they have ignored me? Due diligence is key. I understand that you were simply reselling products your found through your supplier but if those products were copies of that supplier who reported you, it's unfortunate but there's nothing much you can do. Our members are always encouraged to do research before starting to sell online. The blog above has helpful tips for you on how you can best sell jewellery. All the best! This is good stuff. It's a bit hard to sell jewelry nowadays, much less gold. I'll definitely keep your tips in mind. Thank you for all the above information. What is the best online forum to sell handcrafted jewelry without killer fees. I have a facebook page and I want to create a website as well, but don't know which domain is best. 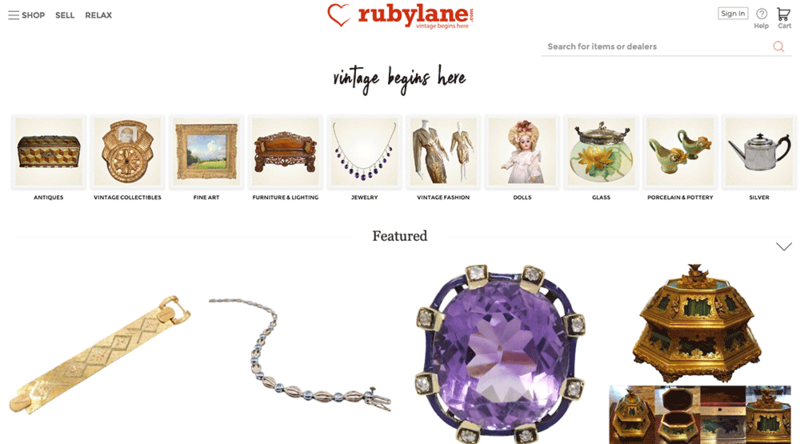 You might want to check out Etsy, RubyLane and Bonanza. Awesome article! I found it super informative and I was able to take your advice and answer each question. I am setting up to sell gold jewelry. I am designing it and it will be solid gold pieces. How do I give documents stating its real gold? This was a very informative article. Thanks. Your blog information is very helpful for me. Thanks for sharing. Thanks for these great information you put together in this piece! To my opinion online presence and sales plays a crucial rule for the development of small companies and start-ups in our industry to compete with the big players. 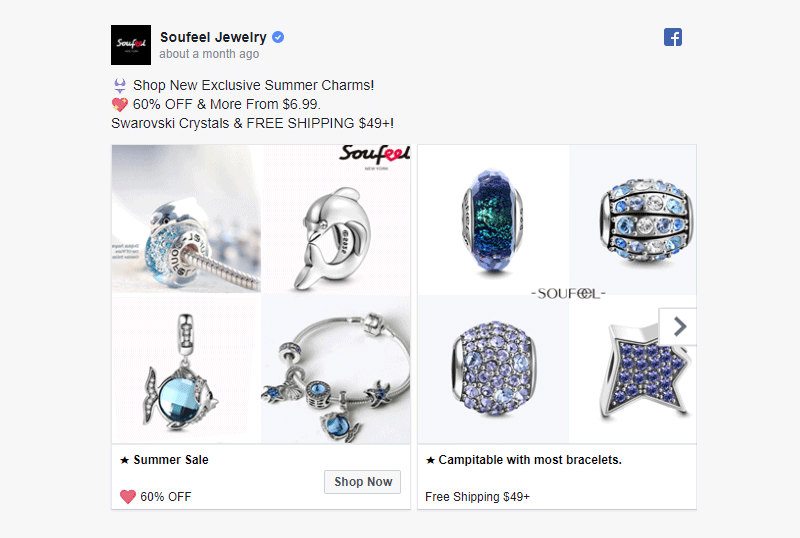 However, some jewelry businesses still refrain from getting on social media, especially smaller businesses, because for them it can seem very time consuming. 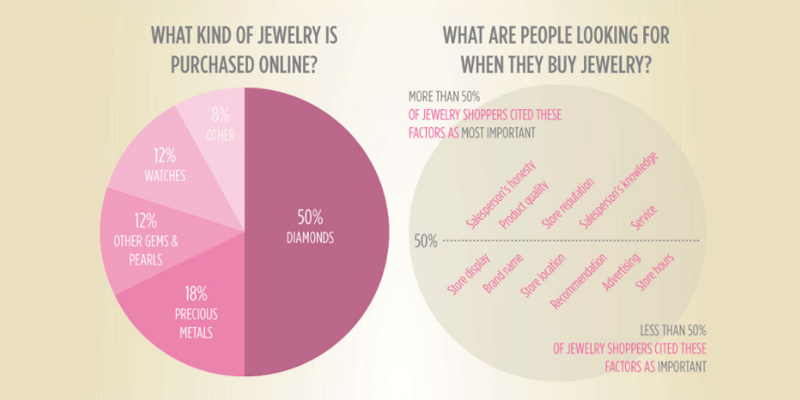 After all, with so many businesses existing on social media, how can your jewelry business stand out? I agree that you need to put in some efforts to get results but in the long run it is the only way forward! As a jewelry company, you already have your eye on trends. With Instagram/Facebook, you can share your findings and create a conversation around popular trends and use this kind of content to get attention and advertise your pieces. Its a great way to encourage customers to engage with your brand by posting photos of themselves wearing your pieces or highlight your most loyal customers. Social media is one of the best ways to have a digital presence and to drive traffic to your website. If you’re not on social media yet, why not? You are most likely losing sales and audience share. After we implemented our online strategy we have been able to increase significantly our online referrals and got valuable market research since we were able to analyze search pattern on our website. Social media is about creating conversation and community; having a brand that people want to be involved with and that is inspirational. When you engage with your customers, your brand will seem friendly and approachable and people will begin to know, like, and trust your brand. Brands that people know, like, and trust are the brands that succeed and that people like to engage with, which will turn into revenues! Do The wholesalers Drop Ship? In 2016 more than 29 million people purchase jewellery online daily. So buying and selling of jewellery online are increasing its profit and popularity which has no end. Purchasing of jewellery is very inconvenient for people because there is a no edge of jewellery. People also must have the knowledge about jewellery. Day by day there is a high craze of jewellery in modern life. People wear jewellery like silver, gold, platinum, sapphire, diamond and many more attractive designs are there. One of my sisters purchased jewellery from Jewelry1000, which is one of a kind of very precious for everybody. Cheers guys!! Massive thanks for tippin- straight from newborn baby, fairtrade natural only jewelry makers right at the edge of the world where materials are plentifull! We'll surely share the article around- a perfect almanac. You guys rock! India market is too competitive compared to us market.Profits are very thin.how to get better profits. You can try selling at your own web store to avoid competition, while promoting your site online and offline to generate traffic. That way, you'll have more control over your profits as you avoid price war at the same time. I have created my e-commerce website in the Buildabazaar e-commerce platform.Can I sell other websites products online through the website in which I sell my products? You can definitely do that. Helps increase your chances of making a sale. Just make sure you agree upon with your suppliers' terms and conditions on where you sell their products. Great guidance and advice to startup the business online. I just want to add google campaign for marketing your business online. Agree! Helps increase your traffic and conversions. I have a large collection of new fine jewelry set with diamonds, and gemstones from our family retail jewelry store we closed in 2006. This inventory has been in a bank vault since that time where would you recommend to sell it online. The prices range from $75 to $1200 wholesale. at $350 gold prices. Your article is outstanding.I'll be helpful by this surely. I think it's perfect. Thanks for the info! just started my online store for jewelry about a month ago. Hi Bria! Good luck with your business. If you are interested in adding jewelries to your line, you can use the Directory to find additional suppliers. It's helpful when we are stating a business online. Hi,I want to sell my handmade jewelry. Hi there! You can definitely start your own store, or otherwise at a platform where the market is already available. You can checkout some suggestions here on where to sell your jewelries. We have lots of verified jewelry suppliers found in our Directory. You can join the full membership < a> to check them out!